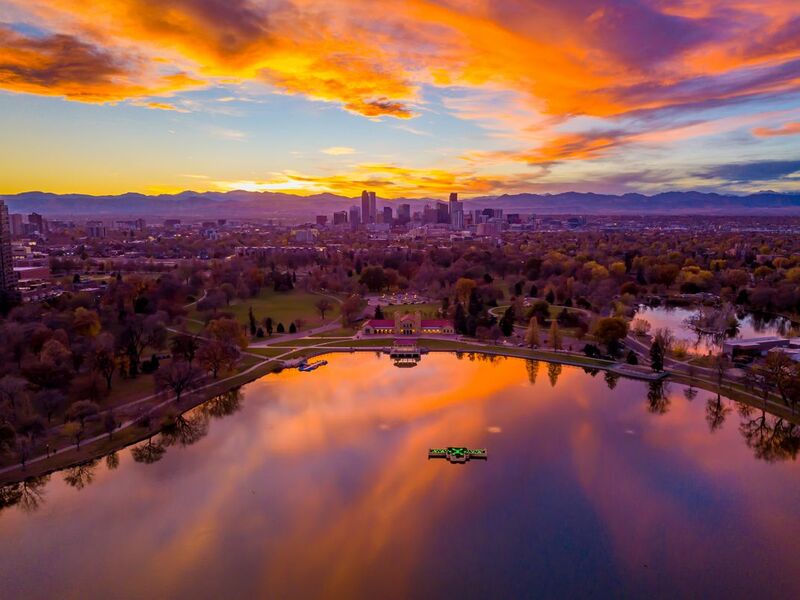 This was the first drone Sunset photo shoot I did at City Park in Denver, Colorado. This was one of the most colorful and beautiful sunsets I have ever seen in Colorado. The clouds were reflecting wonderfully off of the lake and the city could be seen perfectly with the mountains in the background.